You can love him; hate him, but you can't ignore him. The man with a midas touch and a lot more than that, Shah Rukh Khan needs no introduction especially to the love stricken people of the yore or the romance loving 'janta' of the nation. While it’s almost impossible to mirror the lover boy he plays on screen, it’s also equally difficult to don his marketing ways and wits that SRK displays while interacting with the media and fans. You can love him; hate him, but you can’t ignore him. The man with a midas touch and a lot more than that, Shah Rukh Khan needs no introduction especially to the love stricken people of the yore or the romance loving ‘janta’ of the nation. While it’s almost impossible to mirror the lover boy he plays on screen, it’s also equally difficult to don his marketing ways and wits that he displays while interacting with the media and fans. Ask a cinegoer to make a choice between the Khans of Bollywood, there’ll always be a foregone predicament that SRK is a bigger brand than every other element in the Indian film industry. So what makes SRK the brand he is? What a question! It’s a tough one. Funny enough, all too often, marketers rely on pieces of the brand to “be” the brand. We are not sure of what marketing knowledge has SRK got in his schooling/college, but he excels in all facets of modern day marketing. He formulates the frames and pieces of the brand and becomes the brand himself. The most recent example is the promotional activities of ‘Happy New year’. When a new movie is to be released, promotional activities take a huge chunk of the budget. The press conferences, launch parties and the media interactions are substantial in judging the movie’s performance at the box office. And the promotional campaigns have to be tapped to get massive returns. That’s exactly what Shah Rukh Khan plans and executes oh so wonderfully! big commercial success for SRK’s production house – Red Chillies. It’s touted that even prior to the release of the movie, Red Chillies was able to earn more than Rs 200 cr by this tour. The team put up a live show in several US cities including Houston, New Jersey, Chicago, Vancouver, San Jose and even London! 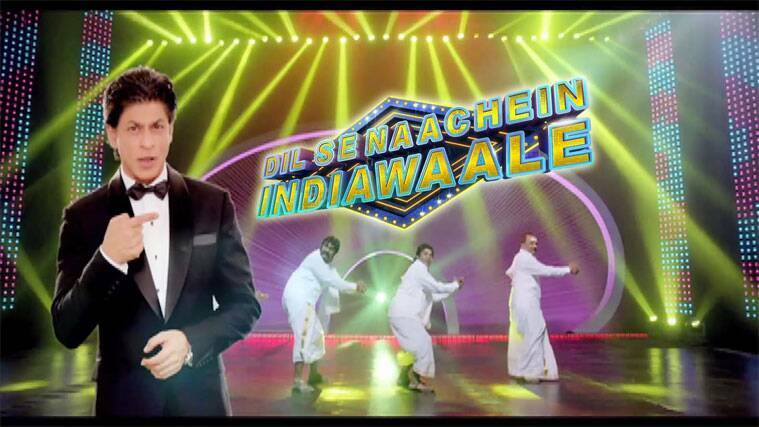 Red Chillies also organized for a reality show on the GEC – Zee TV, by the name – Dil Se Naachey Indiawaale – taking cue from one of the songs from the movie – Indiawaale. Both these tactics proved to be quite good money spinners and added a lot of backing to the movie’s name. 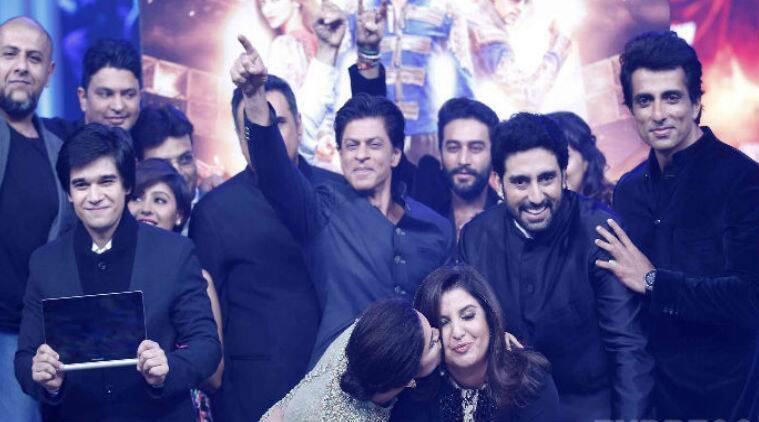 Adding more firsts to the many in the kitty, the team of ‘Happy New Year’ also became the first Indian movie team to visit the Google Headquarters and Twitter Headquarters in San Jose, USA. 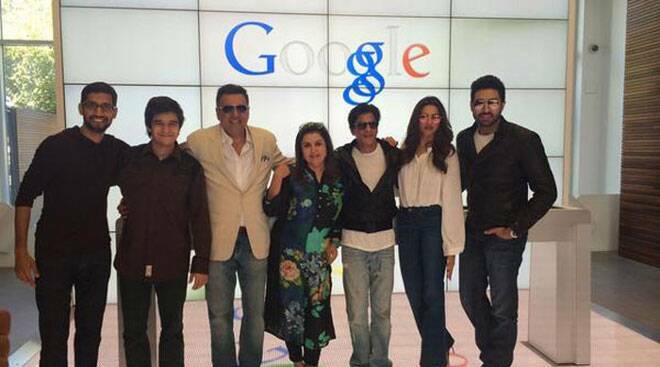 Director Farah Khan with actors Deepika Padukone, Abhishek Bachchan, Boman Irani and Vivaan Shah went to Google HQ first in the Silicon Valley and then to the Twitter HQ. And do we need to reiterate whose idea it was?! Also, for the first time an Indian movie sent its trailer via WhatsApp to the users of the application. The users simply needed to give a missed call or drop in a WhatsApp message at +91 9819020202 to get the HNY Trailer on their mobile. The music launch event of the movie was live streamed on Youtube. Goes without saying, Shah Rukh Khan is a smart filmmaker. He knows that there is a huge audience that cannot afford to watch movies in the multiplex. So, if it gets telecast on TV there is no way they will ignore it. SRK’s release prior to ‘Happy New Year’, ‘Chennai Express’ did extremely well at the box-office but that doesn’t stop the superstar from further exploring the avenues of profits. SRK sold satellite rights of the film to Zee Entertainment, reportedly at Rs 48 cr. A TOI report also says that the filmmakers had a deal with the channel that if it crosses the 100 crore mark, they will get more money for selling the rights. It’s reported that SRK was involved with very area of the movie’s marketing and branding. No wonder! The movie went on to break records at the box office. Reports also suggest that it was SRK’s idea to give one ‘Chennai Express’ ticket free with every two tickets purchased in Delhi. He also took advantage of the hype around the movie and increased the price of ticket before the release of the movie. Even when SRK appears or hosts any reality show – be it ‘Jhalak Dikhla Jaa’ or ‘Kaun Banega Crorepati’ – there’s a certain charm that the King Khan exudes; the charm that makes everybody his fan. The way he connects to the masses and the classes is beyond perception. Some call it perfection; some a practized repertoire, but whatever it is, it surpasses the charisma of the greatest stars. SRK, apart from being popular among the movie buffs, is also a congenial personality when it comes to bonding with his counterparts. Barring some reported tiffs with contemporary superstars, SRK is friends and friendly with almost all of the celebs in the industry, be it Amitabh Bachchan, Hrithik Roshan or Shahid Kapoor. This bonhomie surely adds to the star quality of the actor. And then there’s his never ending endorsements and associations with different brands and charities. Experts say that in most probability it’s his self made image that works well with the audiences. The superstar bagged a Rs 20 cr worth endorsement deal with a pan masala brand sometime ago. This is touted to be one of the highest endorsement deals signed by a Bollywood actor. ‘Brand SRK’ is associated with many a product – cold drinks to talcum powder and cars to fairness creams. So, if you’re a filmmaker and about to make a movie with SRK, you can rest assured. The movie will earn moolah and a lot of it. Blame it on the SRK-phenomenon that forces the people to watch the movies regardless of his costars, the script or anything else. If there’s SRK in the movie, he’ll make sure you go spend some money and bring him the money. A weak script? No issues! 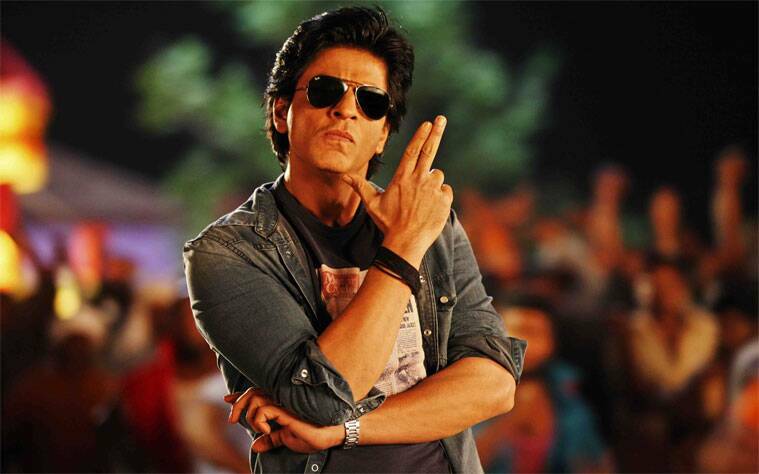 Have SRK in your kitty; he’ll make sure that audiences flock to the theatres in hundreds and thousands. He knows the nerve of the people and he hits it right. A stronger script? Haha! You have the right formula for a record breaker! Other stars sell movies on their style, power or distribution. But voila! meet SRK, the man who single handedly dares to challenge the star power of many. He has his basics right. He knows his audience and he plays it well. That’s what a marketing moghul is made of. He’ll seep in, into your nervous system and all other systems and force you to marvel at his cinematic brilliance, not only the acting talent but also the marketing talent. Recently, SRK was quoted saying, in fun, that it’s sad nobody accredits him for the success he has achieved. People credit either his dimples, or his wife Gauri’s good fortune or his luck for the immense stardom he has. We won’t do such kind of mistake. On his 49th birthday, we salute this immensely talented superstar of the nation and venerate the unmatchable wits and marketing brilliance he possesses. Hail the marketing moghul! Hail the SRK! !